We live here. It is easy to forget where Norwich comes from, we take our surroundings for granted; a city that has grown from virtually nothing over the last 1200 years. A scattering of people living on gravel terraces above a bend in a river in wooden houses, living by farming, fishing and fowling. This is where our city has grown from. Living in any urban area gives us a fixed centre-based perspective. Yet it isn’t intrinsically one place, it is made of many, psychologically and physically. It means different things to each of us and is comprised of different interlocking patterns of settlements and our shifting relationships with the environment, economics and the metrics of human life. 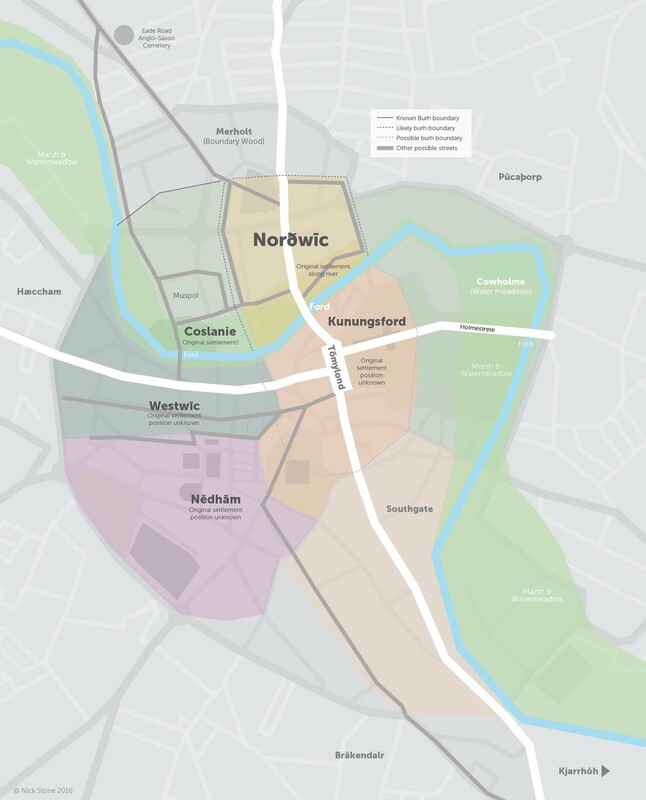 Norwich is not one single settlement, it never has been, it is a sum of its parts; a long and old expansion and partial erasure, a series of processes of movements, markets that grow and move, defences that shift, housing that grows and fades use and purpose that shifts. The core settlement has grown vastly, swallowing the villages that surround it. It is an eclipse of place. Some settlements are digested and suffer from a loss of identity while others maintain more of a form of self, facilitated by both geography, memory and local politics. We live in a era characterised by a lack of new housing, a stasis bought about by the ghost of austerity which has temporarily fixed the spread of settlement to a some extent. The Northern Distributor Road will enfold more land in its long grey sleeves and ultimately absorb more villages and hamlets as the areas slowly infill. Settlements that maintain some semblance of separation such as Spixworth and Drayton will eventually become fully absorbed. They two will leave just the dusty veins of the road layout and the old names buried in the landscapes of new suburbs. The city has expanded since it was established, spreading over other settlements. This has been the case from the outset. It is within living memory that Sprowston and Lakenham were settlements as much as suburbs. Less than one hundred years ago Heartsease and Mile Cross were still just fields. Further back the serrated teeth of the Victorian terraces outside the walls were just fields and orchards the settlement flowing back inside the city walls, busying itself with industrialisation, before that weaving and fishing, parmenters and potters worked amongst the orchards and fields inside the walls. Nine hundred years ago the walls didn’t exist. The defence structures were more topographical, the physical landscape providing boundaries; rivers, woods and marshes. Tracks cut as the lines of least resistance lie under most of our roads. Twelve centuries, forty-eight generations we hit a nexus point when whatever settlements were here forming around the river and its crossing at Fye Bridge started to grow. Two Roman roads or Stretes crossed the river Wændsum “the winding river” with its old English grýpes and cockeys feeding into the waters bisecting the landscape separating the settlements. There were two axial roads, one running North to South heading towards Venta the old ruined Roman town at Caistor St Edmund following the ridge line of Kings Street or Conesford passing the burial mounds on Berstrete the Skyegate. The road heading North crosses where the river is deep and wide where there is enough bank to ford it and enough depth to berth boats on a decent banks. It is navigable, tidal and an ideal place for a market to form. Holmestreet ran East-West from a conjectured Roman marina at Brundall, fording the river where Bishop Bridge is now, running through the Cathedral nave and into what would become the city centre and out along St Benedict Street into the West of the county. We do not live in a Roman town, this would have been a sparse crossroads in Roman times, the legions would have marched through a landscape which has had settlements since the Mesolithic. But the proto-urban settlement is firmly Middle-Saxon estimated to have begun in the sixth century. Settlements growing on the well-drained river gravel terraces which were to become the villages. The fuse was lit for an explosion of growth, one where the rise of Norwich was eventually to eclipse Thetford as a centre and eventually challenge London for wealth and size. By the tenth century the first coins featuring Nordvico (King Edmund), and then Nordwic and Norvic were in circulation; the latter those of King Aethelstan indicates a Norwich which was a fortified Burh supporting a market, under his edict it had to to be entitled to support its own mint. There were originally two Wicks; the North Wick and the West Wick and at least two other settlements Nedeham and Coslany. There is a question here, was Conesford a settlement or was it a placename for The King’s Ford and was this bridge where the market was or maybe marking a bridge further south. The Norð vic formed at the junction of the North-South road and the river at Fyebridge. There is a nucleation of archaeology in Fishergate; wicker fences and timber surfaces on the North bank complete with pottery dating evidence confirming the dates as middle to late-Saxon. The name means Northern settlement from the Old English. The Friesian and North German roots, familiar already are echoed in the Old Norse bought later by the new invaders and settlers from Scandinavia such is the confusion of the common root of our Northern languages. The original settlements seem to all relate to river crossings and watercourses of some sort and bounded by topographic features that protect them or provide for them; the transport network, the water supply. Here is where the city grew. So we have our first four, Norvic grows and swallows the other nuclei of Westwick, Coslany and Nedeham. As time and life flows more settlements become absorbed. They are a shade in our experience and perception of the city. We all know the name Heigham; a village outside the walls. Its name still remains in Heigham Street and as an area of Norwich outside the wall. Similarly Earlham remains as an area despite the village being only visible as a few hollow ways in Earlham Park, the shadows of old streets and roads. This is clearly not always the case. Pockthorpe is largely forgotten, it was only ever a small settlement perched above what is now Barrack Street outside Pockthorpe Gate. The name remained in the local brewery and still exists in the area as a Parish which was historically terribly poor. The same is probably true at Carrow. Once probably another small settlement on the river below the ridge, now remembered as an area of the city outside the walls. The story continues as you move outward from the nucleus of urban development. The clues are all around us, you can find them in the names we are so familiar with made from pieces of language we no longer recognise but still use. You just have to find them. Norð – Old English for North. 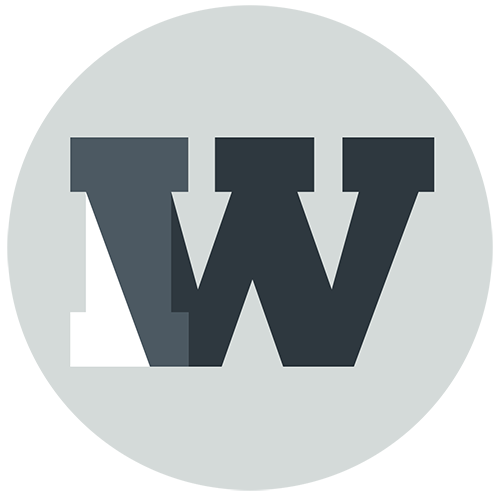 ~wīc or wick – Old English which relates to collections of buildings with specialist function such as a dairy farm or a trading settlement. It has been suggested that this could be a Latin loanword from Vicus, meaning civilian settlement also used to indicate a place. also þveit (Old Norse) A clearing, a meadow, a paddock such as is found at Crostwick. The name still exists in the Westwick Street area of Norwich. Based on the old Leet or parish of Westwic we can guess that the settlement would probably have been central to an area to the South of the river formed on the edges of the low lying swampy ground that bordered the edges of the Wensum and up onto the terrace that forms the ridge that St Benedicts Street sit on which ran from Charing Cross to St Benedicts Gate, almost bordering Coslany. Most likely to mean needy or poor homestead. nēd (Angle) or nied (Saxon) – Needy or poor. ~hām – homestead or home, Old English. There is some conjecture that the name ending may be ~hamm which usually means water meadow but this seems unlikely given the double M ending doesn’t exist on any records I’ve looked at. Needham covers the area around what later became Mancroft and the castle fee and up towards St Stephens, a street which until the 18th century was called Nedeham Street and St Stephens Gate which was originally called Nedeham Gate. The names worked in tandem into the 1750s. It still exists in Needham Place, St Stephen’s Square just off St Stephens Street. ~lanie – possibly from Old English (Saxon) íegland or Old English (Angle) ēg. It is not inconceivable that it could also come from ~lanu or ~lane which unsurprisingly means lane. Which would lead to Lane in the Reedy marsh. There is some uncertainty and conjecture surrounding Coslany and its name, whether it was in fact a settlement at all or was it just a name for a double fording or bridging point to an island that had some importance as a route. Archaeological evidence of settlement in the area during Middle Saxon times is scant, so the implication is that it may have been settled post ninth century despite the name being Anglo-Saxon or possibly earlier, although there are signs in the archaeology of embankment indicating some form of development here. The name remains in St Michael Coslany and in Coslany Street and as a parish. The City Gate on St Martins at Oak Street was also known as the Coslany Gate. ~ford meaning bridge or river crossing in Old English. Where the bridge actually was is open to question, various sources suggest different positions, Bishop Bridge in the old Cowholme area, or possibly at Foundry Bridge. There is also a suggestion that given the position of Conesford and how it was centred near the nascent trading area at Fye Bridge that it could even be the Fye Bridge area up towards what would become the Anglo-Danish market in Tombland. It is also possible that the name has spread or migrated along King Street over time. there is as far as I’m aware no reference to who the named king may have been which adds another layer of delicious to the mystery of these old naming conventions. There are four further settlements that were absorbed by the city each of which where in close to the city walls. Meaning: Either Pocca’s new settlement or a more popular idea is that it oddly according to Jensen means goblin or fairy settlement. Pocca – (Old Norse or Old English) Personal name. Pūca – (Old English) The fairy/sprite reference may seem strange, but many names allude to gods and spirits. Consider the Grim in Grimes Graves or Grimley in Hereford, Puckscroft and Pookhill in Sussex, and Wanstead and Wednesbury remembering Woden. There are many places with names that are indicative of some pagan hankering in the memory of the Angles, the Saxons and the Danes. It is spread across the whole country. There is also a suggestion that the sprite meaning can also allude to meaning unpleasant or insignificant in this context. It’s difficult to not like the idea of Pockthorpe with it’s long history of poverty in a poor part of the city with a reputation of roughness and lawlessness relating in some way to what became Puck, our mischievous Shakespearean sprite. It’s also perhaps interesting to note that are alleged to be as many as eight Pockthorpes in Norfolk, all but three are lost. The best known is in Yorkshire which again is area with a heavy association with Viking incursion. ~þorp – (Old Norse) – A secondary or new settlement, outlying farmstead or hamlet. Variants from other language sources: ~trup/trop/drup/drop – (Old English – Anglo Saxon/Low German) – , ~terp – Friesien, ~dorp – Dutch – Small village or hamlet. Pockthorpe lay just outside the city walls near Barrack Street. More here. Meaning: Hæcc~ or Hecc~ a variety of meanings, either gate, flood gate or fish trap, Old English. ~hām – homestead or home, Old English. Also possibly ~hamm – Meaning water-meadow in Old English. so it could mean a variety of things, Gated meadow, fishtrap at the watermeadow and so on. Heigham sat in a low lying and quite marshy area of the River Wensum just outside the slow loop down towards New Mills on the other side of one of Norwich’s Cockeys. Up towards the marsh and Island where Halfords now stands. The area has been built up and redefined in modern times, the marshland is no longer evident but the levels of soil buildup can be seen around St Benedicts Gate or Heaven’s gate wall line. The marshy nature of the land is probably what led to the Heigham postern gate on Westwick Street being called Hellgate from the fourteenth century until as late as 1700. Meaning: A tricky one. The Car~ element could come from Kjarr Old Norse or the Old English Kerr meaning marsh or bog, but the written spelling doesn’t follow this. The other option is Carr which means Rock in Old English/British, this seems unlikely given the rather obvious lack of rocks in the county generally (Although as Carl Goodson points out in the comments it could be a glacial erratic). The former seems more likely as it’s used in Carbrooke in Norfolk. The ~ho element is more straightforward, coming from hōh meaning a low projecting piece of land in the river. This would make sense, a low marshy area between the Wensum and the Yare being what it is. Carrow itself warrants a piece on its own, the site of an abbey and having the remains of a watergate and boom towers still present. (British from Caru meaning pleasant as is possible with Carbrooke, again CG in comments). Meaning: From the Old Norse Bräken meaning pretty much what is sounds like which is Bracken, the free growing plant we’re all familiar with on Mousehold heath. The second part is probably ~dalr which is the Old Norse for Dale. It could also be the Old English word ~dael, but given the Norse word at the start this doesn’t entirely make sense. Both of these uses can be found dotted about the country. Skelmersdale, Teesdale and Rochdale being other good examples of Old Norse usage in another area that was heavily settled by the Vikings. It also forms the basis of the word Dell. Bracondale lay just outside the city walls it now straddles, an important route south out of the city. Some of the best examples of the remaining elements of the city wall stand here, running along and down the ridge at Snuff Tower and a remnant of wall at Berstrete Gate turns and disappears into a house. There is, as with most of these small settlements little physical evidence of them still in existence. The make up of their names tell us as much as anything we physically have other than the roads, parishes and streets they have given themselves to. Part two to follow; The place-names of the suburbs – Earlham, Bowthorpe, Sprowston, Hellesdon, Costessey, Catton, Taverham, Drayton, Plumstead, Lakenham, Larkman, Mile Cross, Trowse, Thorpe and Heartsease (eventually). The boundaries on the map have to be guesswork by their nature, they don’t demarkate the extent of the settlements, they rather mark rough boundaries of settlements that existed which would have lay somewhere within these areas which are really parishes or leets, think ‘small collections of timbered huts grouped together, notoriously difficult to find. The Burhs are all guesswork, not by me; they are based on a continuation of a bank and ditch which where found during a dig behind Anglia Square 20 years ago that revealed some Saxon settlement and a fortified line. The rest north of the river is a continuation of that line against the extent of the original settlements. The Burh line south of the river is entirely conjectured, there is a suggestion that Berstreet is a placename memory of a road that heads towards the borough. Photo: Woodford’s reliefs on City Hall Doors, Norwich. Photo George Plunkett. Fascinating, thank you, I look forward to the second part. Enjoy your work. Interesting stuff as always. Excellent work as always, immensely readable, especially to a Freeman of the city. Very informative article. If Part 2 is as comprehensive, it will educate many. An enjoyable, informative read as always. My maternal grandfather’s relations lived in Pockthorpe and I found some really good records in Norwich Library. The family started out as highly skilled silk weavers, but as time went on and mechanisation took hold in the North of England they were forced into weaving coarser materials like duffel. They first used handlooms in the home, then power looms in a factory, until finally they were forced to change occupation entirely. Many of them died young, with TB being the main cause. As you say, Pockthorpe was classed as a village outside of Norwich and wasn’t an affluent area. Carrow – excepted explanation is from a British loan for rock. Could be glacial erratic. By the way the car element in carbooke is also possibly British from Caru meaning pleasant. Hi Carl. Interesting piece from Coates, not seen that. Caru seems to have the same root as ‘Cariad’. Regarding Carrow, it would be nice if it were an erratic. I collect them too, often imbued with some mystical resonance in the past I suppose it could explain the location and formation of the chapel and eventual priory on the site. Should go for a pint, it’s been a while. More time spent getting educated by a very interesting article, which has been well researched. Time spent here is never wasted. I had wondered if Pockthorpe was a genteel adaptation of Pox thorpe given the deprived nature of the area, but I’ll go with a more learned answer.